Choose either ‘Entire Disk’ or ‘Sector Range’ option in searching criteria. 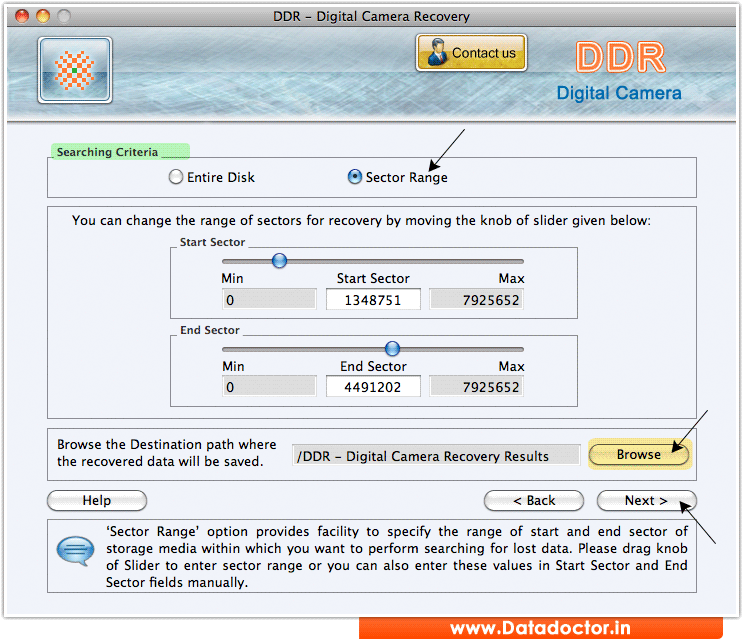 Set Start and End Range of sectors to recover lost data then browse the path where you want to save the recovered data. Click on “Next” button for next step. 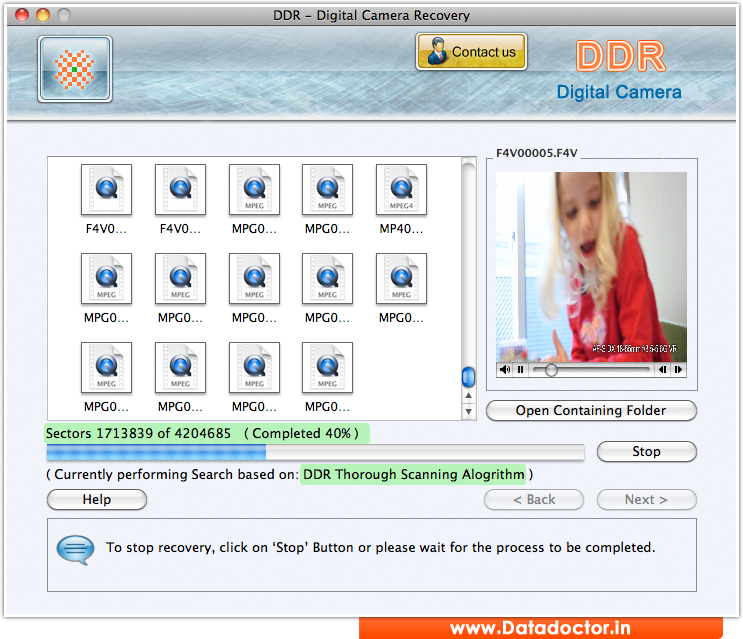 Screenshot shows disk scanning process using “DDR Thorough Scanning Algorithm”. To view recovered data, click on “Open Containing Folder” button.